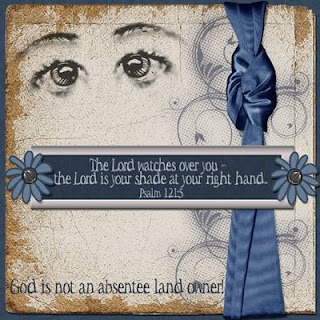 The challenge this time was to look at the attribute of God that He is the "God Who Sees"
The eyes on my page are a brush I obtained from PhotoshopFree Brushes. The kit used for my page is this month's collab kit at Life-Scrappers and is a very nice kit which is called "A Fathers Love"
Very cool! I love the eye brushes you used!